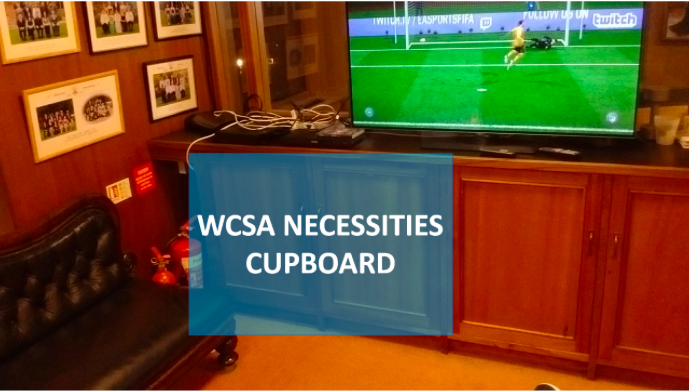 What is the WCSA Necessities Cupboard? 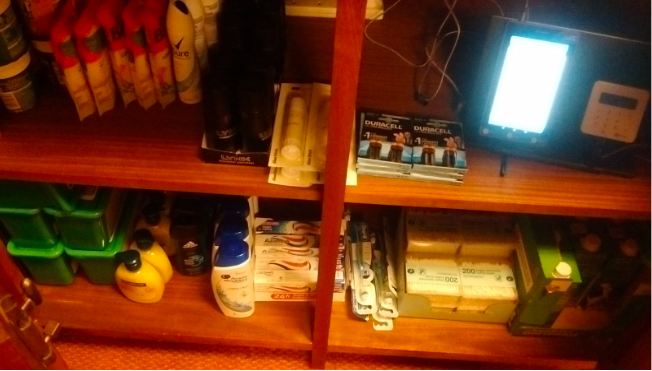 The WCSA Necessities Cupboard contains as a stock of “essential” items such as washing liquid, batteries, and deodorant that may be purchased. It is runs on an honor system where WCSA trusts those who take an item to pay for it immediately. If WCSA finds that this is not the case, then we will discontinue the WCSA Necessities Cupboard :(. How do I gain access to the Necessities Cupboard? To gain access to the Necessities Cupboard, you must first sign out the “Necessities Cupboard” Key from the Porters’ Lodge. 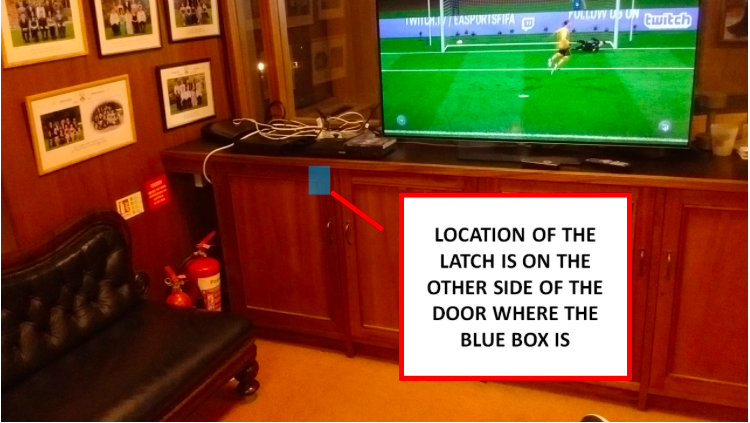 The Necessities Cupboard itself is located in the Lee Room beneath the Television on the left, as indicated in the picture below. How do I unlock the left-most door? What items are currently stocked in the cupboard and how much do they cost? Click here to see the items that were last stocked in the cupboard. What do I do if I take the last item? Please e-mail wcsa-president@wolfson.cam.ac.uk with the name of the item so that WCSA can reorder it. If you don’t, then then item will not be restocked. What do I do if the item I want to purchase is no longer available? Please e-mail wcsa-president@wolfson.cam.ac.uk with the name of the item that is missing. What do I do if the tablet isn’t working or for some other reason cannot make a payment? 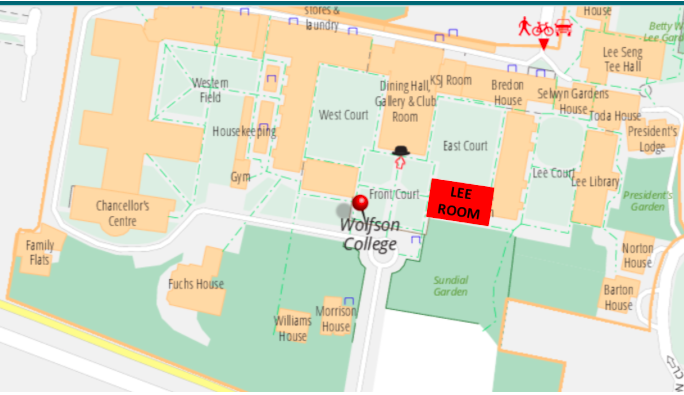 Please e-mail wcsa-president@wolfson.cam.ac.uk with a description of the issue you are having. Is WCSA making a profit from the sales? All items are charged at the price WCSA purchases them at times 1.0169 (the SumUp transaction fee). If the result of this calculation is less than £1, we round it up to £1 (the minimum transaction value that SumUp will accept).